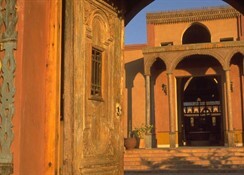 Hotel is situated on the West Bank between the desert and farm fields in a quiet garden setting about 20 min, by car away from the Nile and close the Valley of the Kings and Queens, Hatshepsut Temple and Madinat Habu Temple.-Luxor City is approx. 40 min. by car via the bridge or you can take a car down to Nile and cross by ferry or boat (ca 30 min.) 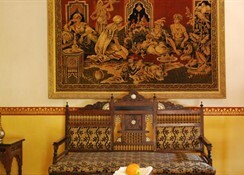 ---The hotel is uniquely designed in an oriental Palace style. 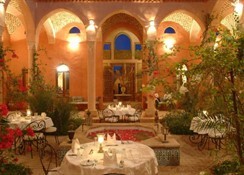 The restaurant with inside outside seating and the Colonial Lounge Bar are in the main building. The pool restaurant / bar is open from 9 am to sunset. The perfect, quiet place to relax after a day of exploring the ancient sights of Luxor.--Rooms are in 7 separate buildings, each building with a courtyard. Rooms are on ground floor with garden view. 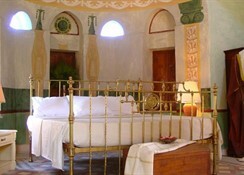 Every room is individually decorated and furnished, there are no two rooms exactly alike. Shower / bathtub, telephone, Satellite TV, minibar, hairdryer, AC / heating, room safe.--The outdoor pool with separate childrens pool is heated in winter. 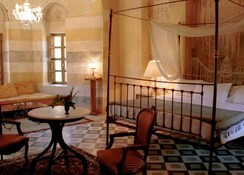 There are two massage rooms and one Hammam (steam bath). Massages and Hammam are against charge. 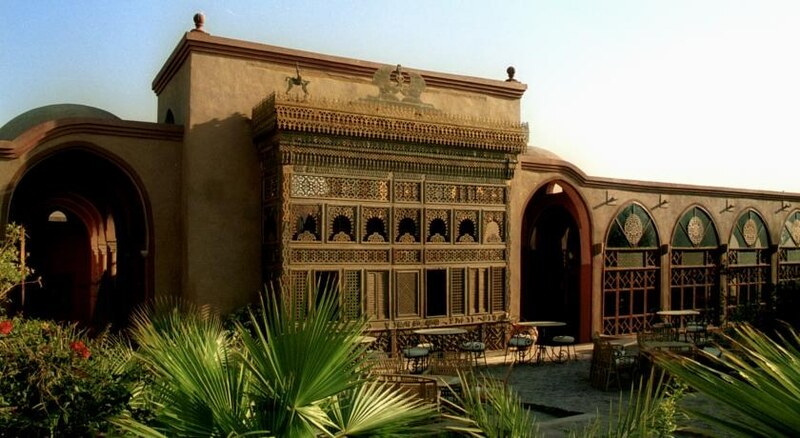 At reception you can organize also excursions for horse / camel rides, Felucca rides, balloon rides and sightseeing excursions.--Meals are a la carte and the kitchen offers mediterranean and oriental cuisine. The dinner menu changes every evening for one week. Vegetarian choices are available. --Airport pick up or pick up from the train station can be arranged. From Luxor, either by ferry or boat to the West Bank. 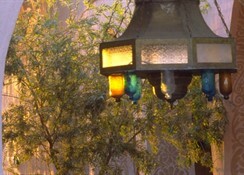 From Gezira by taxi or minibus to Hager Al Dabbeya. Or via the Nile Bridge.